Presque Isle and Caribou – Eva Clark Young, 64, passed away December 21, 2018 in Bangor. She was born in Caribou, August 2, 1954 the daughter of William and Mina (Hughes) Clark. 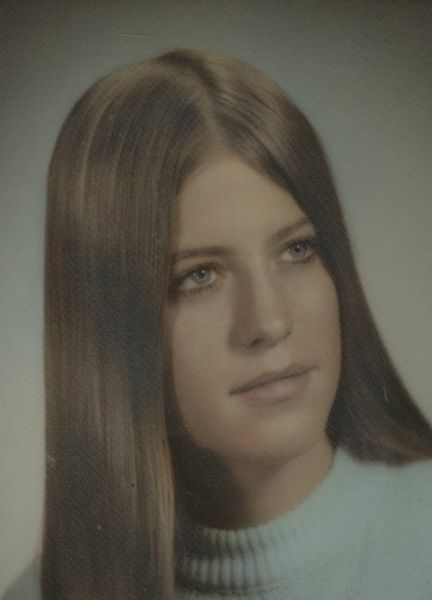 Eva was a graduate of Caribou High School, and following graduation attended Stone Academy in CT. On September 23, 1972 she married William Young and together they shared 46 years of marriage. She was a loving and devoted wife and mother, who stayed home with her children while they were young. When they were older she worked at Continental Airlines, a job she truly enjoyed. In addition to her husband, William, she is survived by two sons, Dennis and Joshua Young, all of Presque Isle, two brothers, Randy and wife Gail Clark, and Daniel Clark, a sister, Wendy and husband Jerry McLaughlin, all of New Sweden, two grandchildren, Dennis “Denny” Young, and Avery Young, a special nephew, Billy Joe Clark, special cousins, Sandy and Richard Letourneau, and Chris and Roberta Butterfield and family, one sister-in-law, Brenda Chapman of Castle Hill, three brothers-in-law, Larry Young of Mapleton, Craig Young of Atkinson and Sam Chapman of Presque Isle, as well as several other nieces, nephews, and cousins. She was predeceased by her parents, her brothers, Wally and Johnny Clark, and a sister, Alice Purser. Friends may call at the Mockler Funeral Home, 24 Reservoir Street, Caribou, Saturday, December 29, 2018 from 9am until time of services which will be held at 11am from the Parish of the Precious Blood Holy Rosary Catholic Church. Spring interment will be in the Evergreen Cemetery, Caribou.